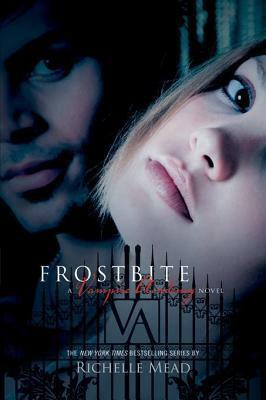 Last night I finished Frostbite (Vampire Academy #2) – Richelle Mead and I really enjoyed it. This morning I started The Sea of Monsters (Percy Jackson and the Olympians #2) – Rick Riordan and am really enjoying it so far. It’s a little too young for me to completely enjoy, but I like the storyline. The plot hasn’t really taken off yet, though. After I finish the second Percy Jackson book I plan to pick up Legend (Legend #1) – Marie Lu. I love the Vampire Academy world Richelle Mead has created. It’s so different from anything I’ve ever read and I love the world. They live at the Vampire Academy boarding school where they learn to fight Strigoi, evil “dead” vampires. The guardians train to save the Moroi, pure blood vampires.There are the twelve royal families and they have the most protection. In this book there are Strigoi attacks at the beginning, so they go to an elite vampire ski resort and spend all of holiday at the resort. I loved the resort setting and this one was so good. I liked this one even more than Vampire Academy. Rose is one of my favorite characters because she’s so sassy and she always has witty remarks. I love the relationship between Rose and Dimitri. I love that Rose loves Dimitri so much and get get over him. Dimitri loves her too and it’s even better because it’s “forbidden”. Lissa and Christian are a cute couple but I don’t really like Christian’s attitude.It’s cool that he knows how to use his magic and I can’t wait to see them when they can all use their powers. Lissa is the Moroi that Rose protects and is also Rose’s best friend. I like Lissa more in this one because she isn’t depressed all the time, but because of the medication she is on, she can’t use her magic. Lissa is a really nice best friend character for Rose though. 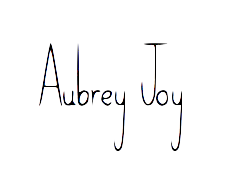 She lightens the mood because she’s kind of ditzy and Rose is always sarcastic or serious. These are just some of the many covers that I think are very pretty. I have all of them except City of Heavenly Fire because I have to wait until MAY! ughhh. So. Far. Away. This was the perfect ending to the Summer Trilogy. I loved this book. I started this morning and finished it around 1:45. 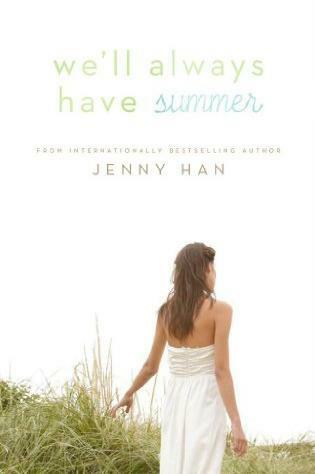 I really enjoyed this book and it makes me want summer to come. This book was about Jeremiah proposing to Belly right at the end of her freshman year in college. She loves him, so she says yes. They think the families will be happy for them, but it turns out they highly disapprove. Everyone says they’re much too young to be making big decisions, like getting married. She loves Jere, but does she love him enough to spend the rest of her life with him? Did she fall for the wrong Fisher boy in the end? We’ll Always Have Summer is a realistic take on a college couple getting in over their heads. I love the whole story and all the characters in it. I would choose to be Conrad because what he did at the end of the book was really brave. I would want to feel what that kind of bravery would feel like. He risked his relationship with his own brother to follow the girl he loved. He chose to act on being in love and in the end it worked out for him. I started this book today… and finished it today. This was the perfect addition to the first in the series. I loved the first one and found that I loved this one even more. I still want to know what happens to Zac and Robb though. What the heck. Why did they just disappear? 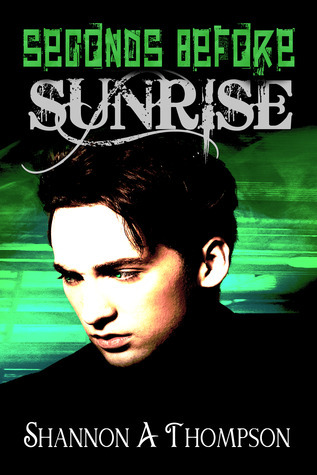 Anyway, this book was about Eric destroying Darthon and the journey it took to get there. Throughout 3/4 of the book Jessica didn’t even remember Eric and that was hard at first because I love them together and I want them to be together forever. They have to be together forever… right? Shannon, I forbid you from taking away some of my all-time favorite characters! The ending to this book was amazing and I loved it so so much! I love, love, love Eric and Jess. They are some of my all-time favorite characters from any book. The characters have been so well thought out and I have to come to the assumption that all Shannon’s characters will continue to be well thought out. Eric and Jessica are the perfect couple and Eric is yet another fictional crush. I would be Jessica because I would get to have rocking-awesome powers and I would have Eric love me forever. Um, yes. I think Jessica’s powers are so cool and I would love to have purple eyes as well. She has purple eyes, seriously that would be so cool.